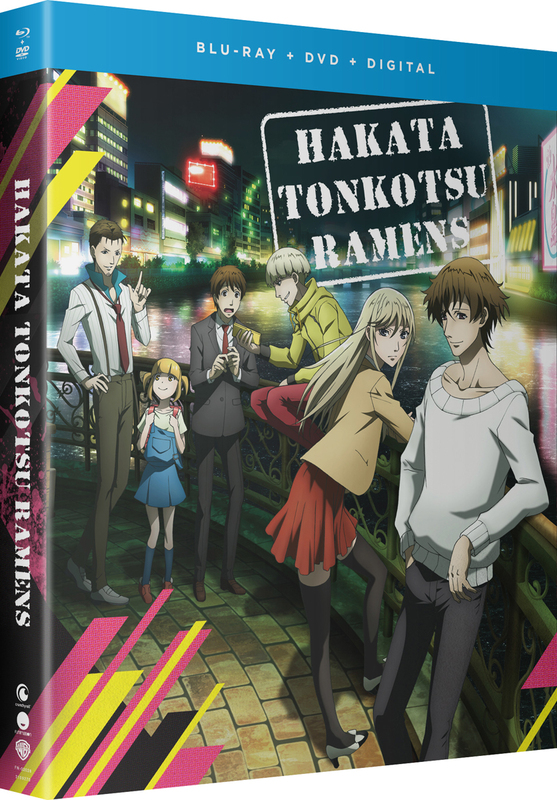 Hakata Tonkotsu Ramens contains anime episodes 1-12 directed by Kenji Yasuda. Welcome to the seedy underbelly of Fukuoka, where hitmen are a dime a dozen. Among all the oddballs in this lucrative business, one man stands above the rest—a legendary killer of professional killers. Good thing detective Banba is on the case! 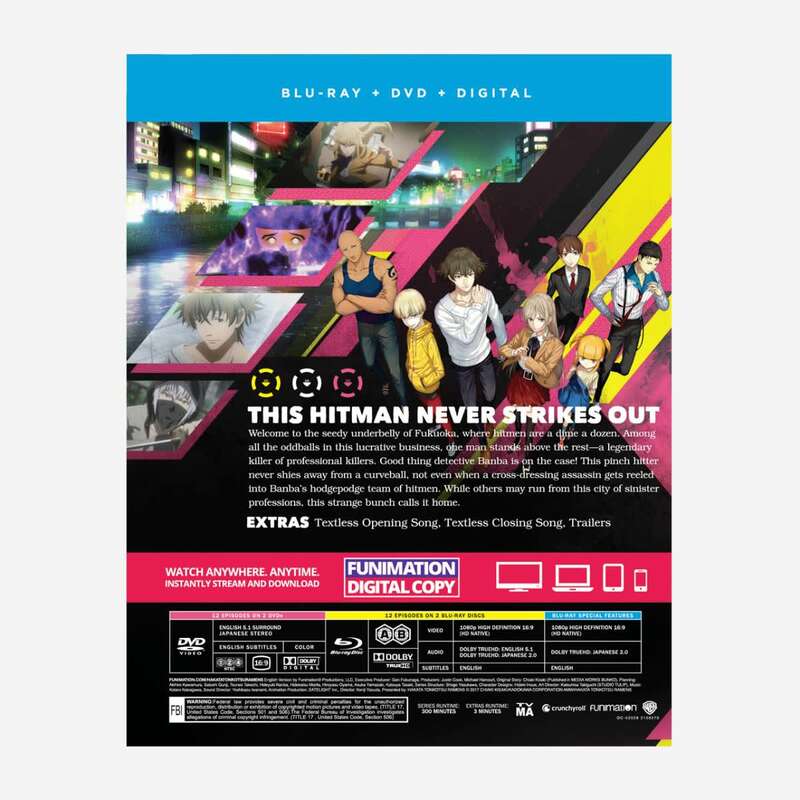 This pinch hitter never shies away from a curveball, not even when a cross-dressing assassin gets reeled into Banba’s hodgepodge team of hitmen. While others may run from this city of sinister professions, this strange bunch calls it home.